In Tokyo, single mother Keiko moves to a small apartment with her twelve year old son Akira and his siblings Kyoko, Shigeru and Yuki. The children have different fathers and do not have schooling, but they have a happy life with their mother. 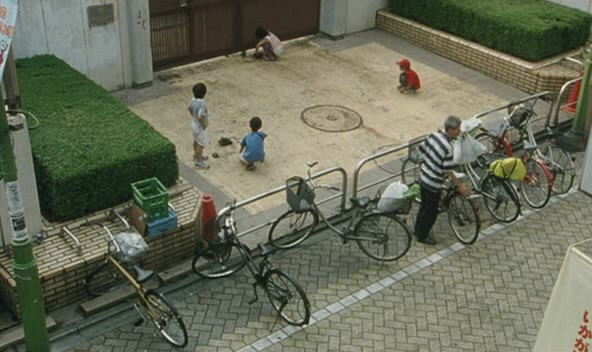 When Keiko finds a new boyfriend, she leaves the children alone, with a note and some money for Akira to take care of his siblings. Nobody Knows is a Japanese film written and directed by Hirokazu Koreeda (Still Walking), based on a real life incident of child abandonment in Japan that took place in the 1980s. The film premiered in competition at the 2004 Cannes Film Festival, where child star Yûya Yagira received the Best Actor Award. It is a troubling story and one that is at times very difficult to watch, but Koreeda has such a delicate way of handling the subject. Remarkably choosing to tone down the details of the story rather than exaggerating and sensationalizing the real life events while also avoiding any predictable dramatic manipulation to move the story along. Instead he uses a deliberate documentary style, incredible attention to detail, and wonderfully natural performances gleaned from the very young cast, focusing just as much on moments of joy as he does desperation, as we are presented with images of the happy family dynamic that inevitably deteriorates when a twelve-year-old is left in charge. 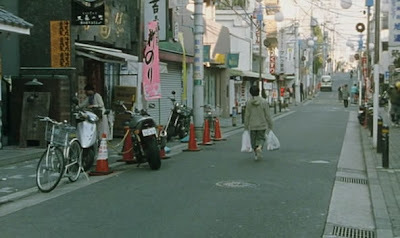 Yûya Yagira delivers an absolutely heartrending performance as the eldest child Akira, suddenly burdened with adult responsibilities overnight, yet still very much a child longing to just go out and play. The way his character evolves over the course of the film is handled perfectly, and the range of emotions he displays, especially towards the end of the film, shows why he deserved to win the Best Actor Award at Cannes. 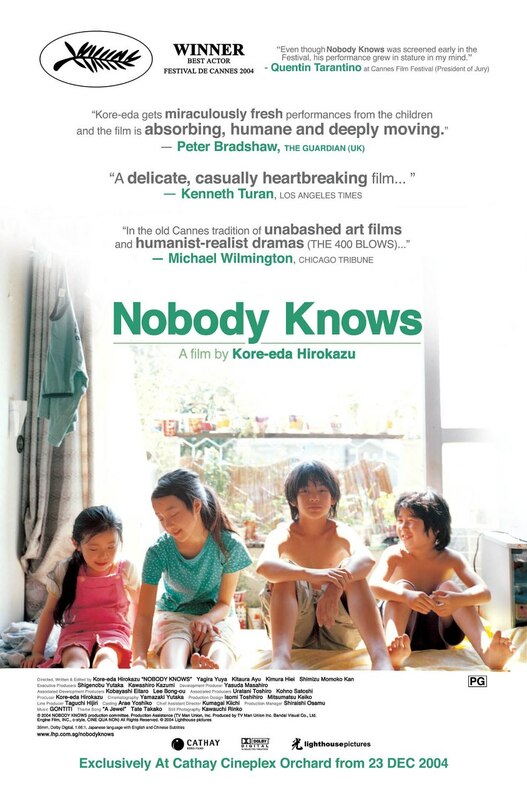 Hirokazu Koreeda's Nobody Knows is an unforgettable, brilliant and heartbreaking film, and if any fault can be found it is that it does perhaps feel overlong in some parts, but really is well worth the time invested. Thanks go out to Cherokee, Hoi-Ming and Jason for the recommendation. True, thanks again for recommending this. Yeah it was very difficult to watch at times, but so well made. I've already seen Still Walking, but now I have to seek out the rest of his films. Sounds like an interesting film. Asian cinema is definitely worth watching, sounds like another solid film. I don't want to be a worrier but does it have a happy ending? I want to see this one. 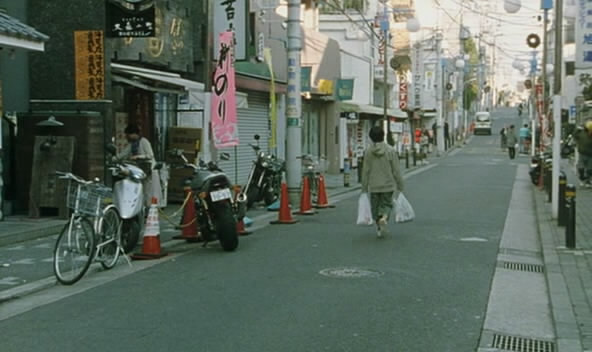 I love this type of film in general, well acted movies about troublesome youths appeal to me for some reason. Can't wait! Great review! 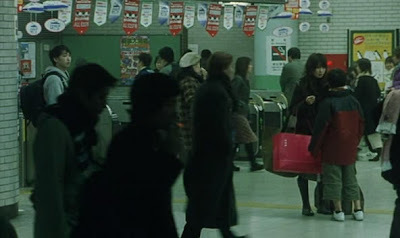 You're right about the documentary style - Koreeda has a background in the form. I was heart-broken after this film but don't regret watching it. @d_4 I dunno if I'd describe them as "troublesome youths" though, hahaha. It might give the wrong idea. 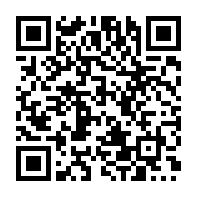 Nice review, another interesting film.